Good Morning Onward Nation – I’m Stephen Woessner and welcome to Episode 455 – this week’s solocast. I am excited about the lesson that I prepared for our time together because it addresses the gaping hole that exists inside most businesses. I have been talking about it for a while now and the hole is the lack of qualified leads flowing into a business owner’s sales pipeline for his or her company. Here’s the most recent data…of the 28 million small business owners in this country – over 43 percent of them cite “growing revenue” as being their top challenge in their company. That is over 12 million business owners. And yes, the challenge in growing revenue can be complex – it can certainly be impacted by value proposition – perhaps a business is trying to solve a problem that doesn’t actually exist. Or, perhaps their pricing is off. There could be a myriad of factors or obstacles in the way of a business owner’s ability to grow revenue. 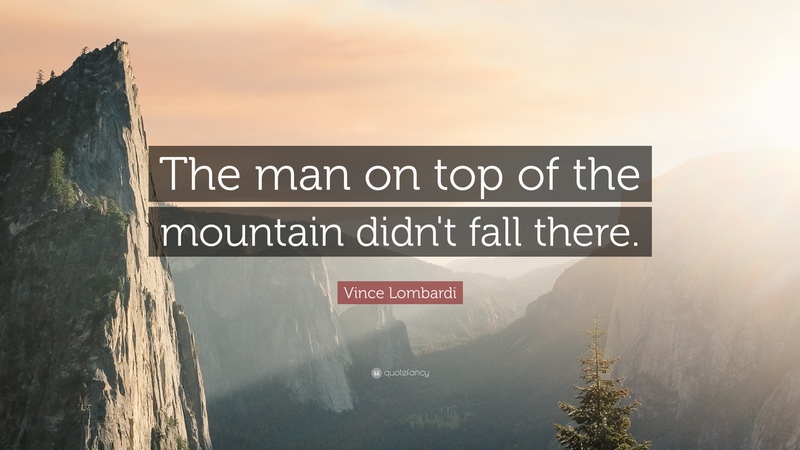 But, in my over 20+ years of experience in owning five companies – and having interviewed over 450 of today’s top business owners for Onward Nation – I will say that the ability to generate leads – and – to generate leads at such consistency that a steady stream of well-prepared prospects flow into a business owner’s pipeline – represents the most significant challenge. So that is going to be where we spend our time together today. 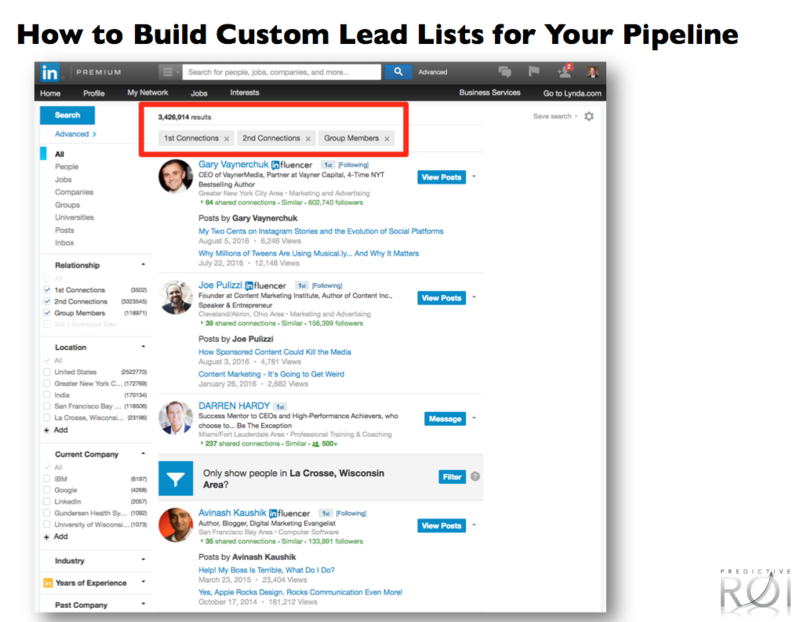 We will focus on how to effectively use LinkedIn to fill your sales pipeline like a pro. 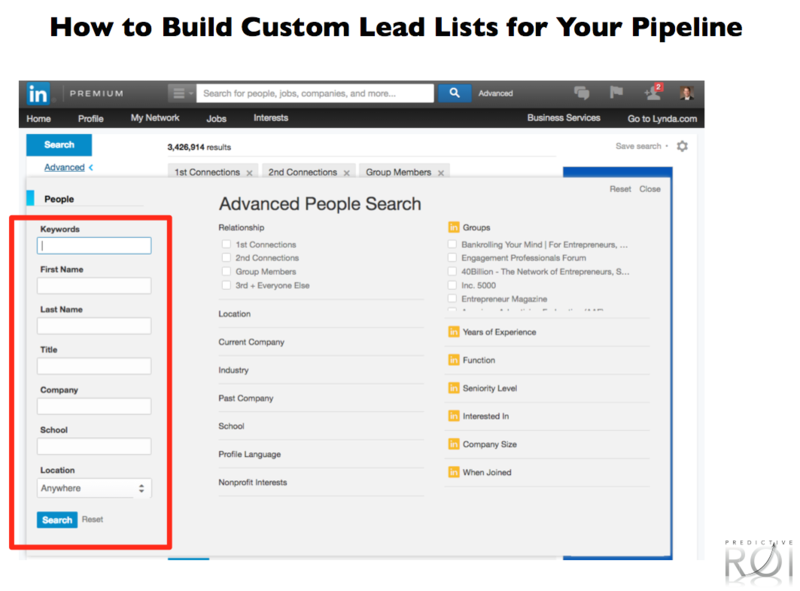 Today’s lesson will provide you with the tools, resources, and step-by-step you and your team need in order to begin using LinkedIn to fill your sales pipeline like a pro. And if you want to take the process even deeper, I encourage you to register for the web workshop I am teaching tomorrow called the 4-Steps to Filling Your Sales Pipeline. Just go to OnwardNation.com/webinar for the details. That’s OnwardNation.com/webinar. Rest assured — I know you are busy. I will respect your time by delivering a workshop packed full of real, actionable strategies, that when followed, will fill your sales pipeline in 30-days or less. Okay, let’s bring our focus back to today’s lesson…how to effectively use LinkedIn like a pro so you and your team can generate a steady stream of well-prepared prospects, grow revenue, and scale your business. Before we dig into the tactical step-by-step…I want to first make ensure that we get your mindset right. Generating leads is not hard work…in fact…it is simple work…especially when you have the right recipe to follow, which I am going to share with you in full transparency in this solocast. 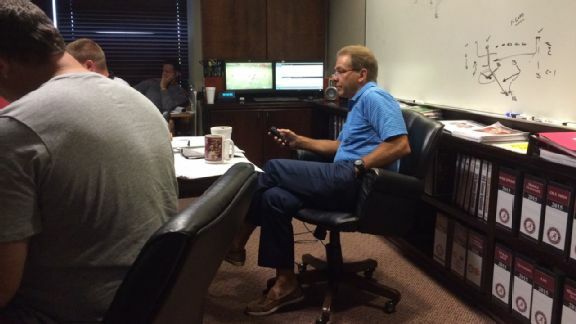 But…just because the work is simple does not mean it is easy. In fact, I can almost guarantee that you will be frustrated at the beginning, you may even pound your first on your conference room table and wonder why the results are not better, and you may get upset at your sales team for their lack of results. 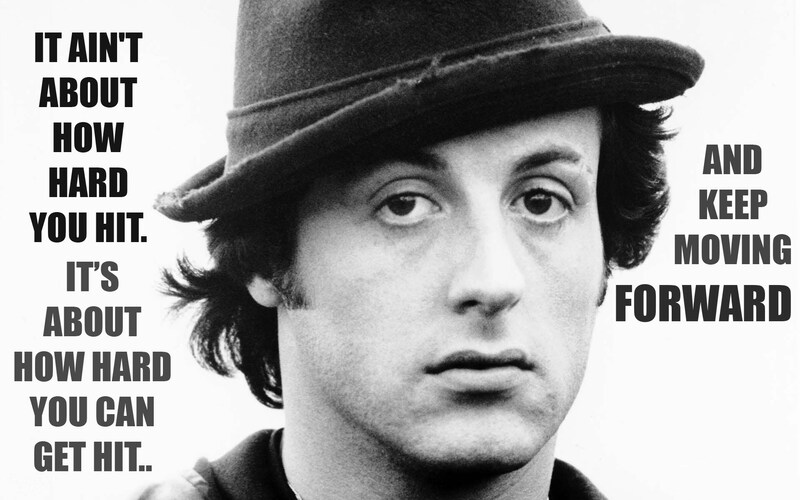 In fact, let’s think about the path of one of the most successful Hollywood actors of all time, Sylvester Stallone. 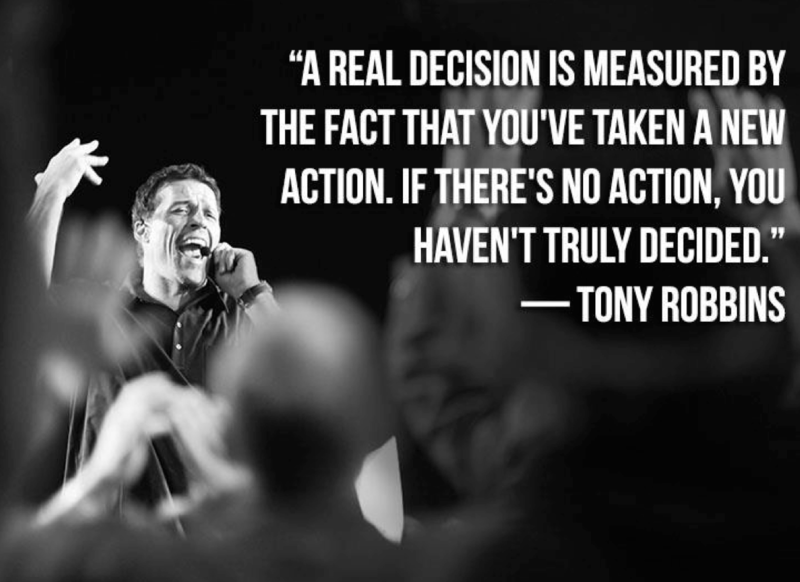 I learned this story from Tony Robbins. Stallone knocked on the doors of 1,500 talent agents in New York City and many of them multiple times. And each time, Stallone was rejected, made fun of, and utterly ridiculed when he was thrown out of their offices. But he didn’t give up. He knew his goal – he knew his destiny. He was committed to what he wanted so he continued to adjust his presentation…he adjusted his offering…and focused on delivering even more value to the market. 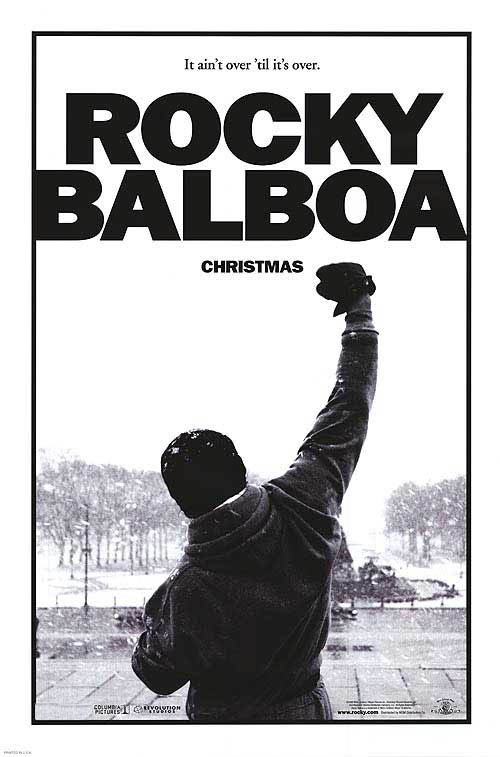 And ultimately…that led to him delivering a huge amount of value in the form of the script of “Rocky”. He appeared on the silver screen in the starring role as what seemed to be an overnight success. But that couldn’t be further from the truth, Onward Nation. He had gritted it out for years and years and stood fast in the face of brutal and cruel rejections, in being dirt broke, and having to sell his dog just to buy some food. But he didn’t quit – he kept getting up – to take another swing. You need to continue taking your at-bats because if you don’t…you may very well miss your golden opportunity for success. Case in point…let’s take a look at Derek Jeter…arguably the greatest New York Yankee to ever wear the pinstripes. 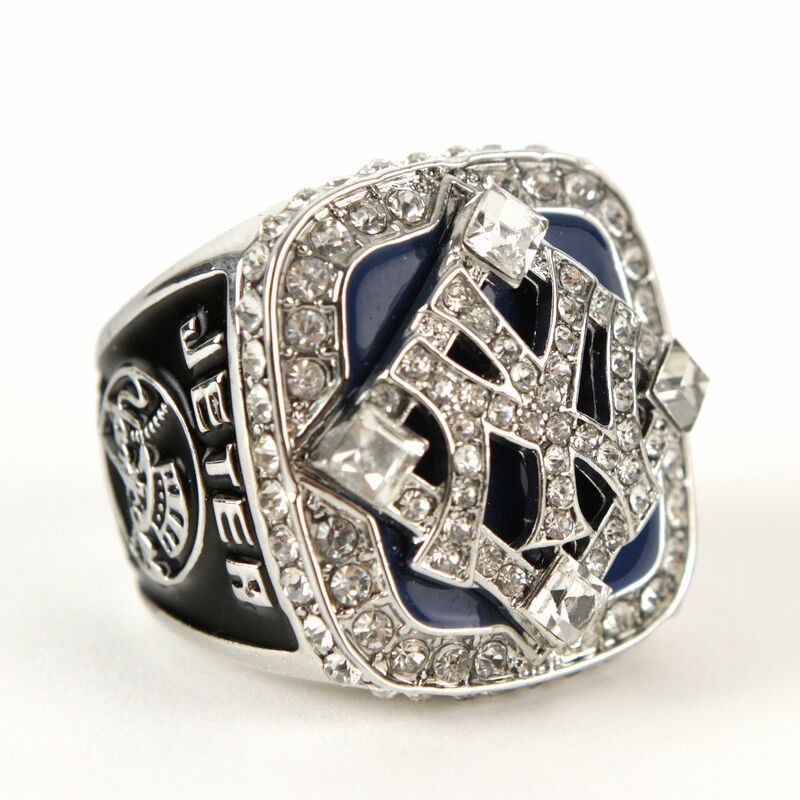 Jeter is a lock to be a first-ballot Hall of Famer with his long list of impressive accomplishments including five World Series Championship rings. But…what most people don’t know about Derek Jeter is that of all players in Major League Baseball history, he is number 12 on the list of total strikeouts. So to say that another way…there have only been 11 people in the history of baseball who struck out more often than Derek Jeter. 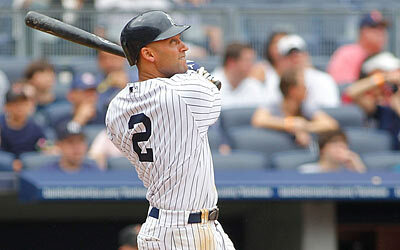 In fact, Jeter struck out 1,840 times during his 20-year career. So in baseball terms, Jeter failed 1,840 times – but yet – he continued to get up there – to take another at-bat – to keep on swinging. And through it all – he recorded 3,461 hits, which is 6th all time and he finished 11 of his 20 seasons with a batting average of 300 or better. A Hall of Fame resume to be sure. The stories of Stallone and Jeter are perfect illustrations of how important it is to remain focused on the long-term – the long play – the end game – and getting better every single day so you continue to deliver more and more value — whether that value is delivered on the silver screen, the ball diamond, or in your marketplace as a business owner. If the market rejects you – celebrate it – because that feedback is priceless. Then be smart and use it – learn from it – apply it – get better – and take another at-bat. Onward Nation, if you remain focused on continuous improvement – you will be successful in implementing the lessons I have prepared for you in this solocast. This is a long haul – it requires data collection – testing – adjusting – testing again – scaling – making mistakes – testing again. But, if you stick with it…you grow and scale your business in such a way that your competitors will wonder what your secret recipe is. And how will that change the game for you? It’s exciting to think about. No doubt it’s substantial. 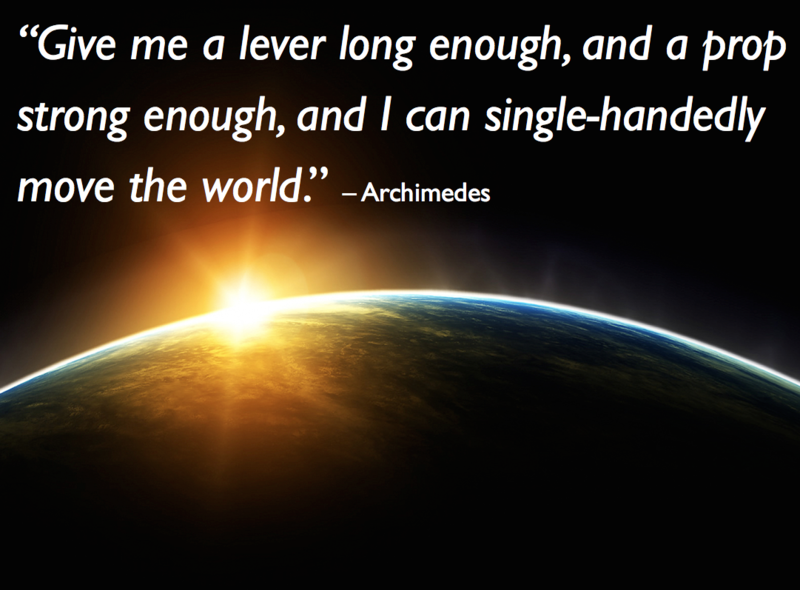 I believe the great Archimedes had it right when he so wisely said… “Give me a lever long enough, and a prop strong enough, and I can single-handedly move the world. So, what will your lever and prop be, Onward Nation? 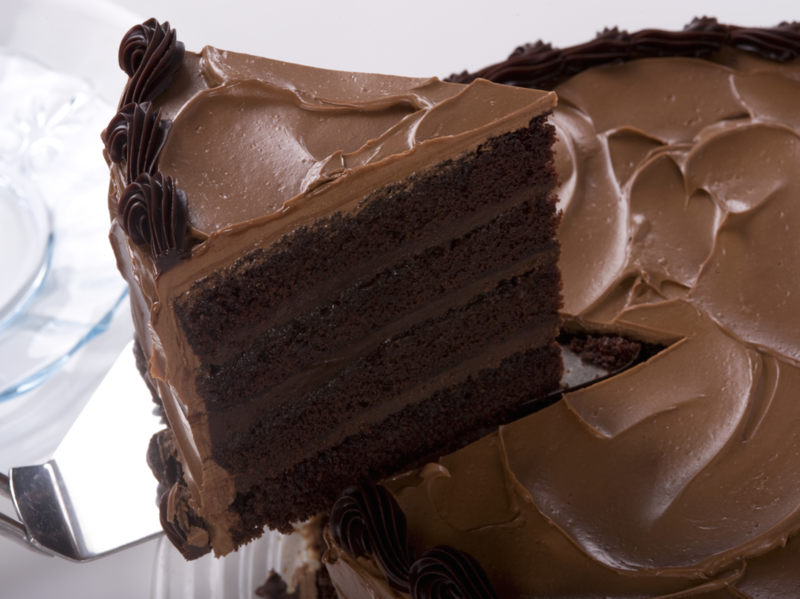 I know – chocolate cake sounds silly, right? But let me explain why this metaphor makes so much sense. Let’s say that I happen to make the world’s best chocolate cake. The absolute best. And I have spent the last 20 years perfecting my process. And then you come along and ask me to teach you how to make my cake – the same cake – the one that took me 20 years to master! 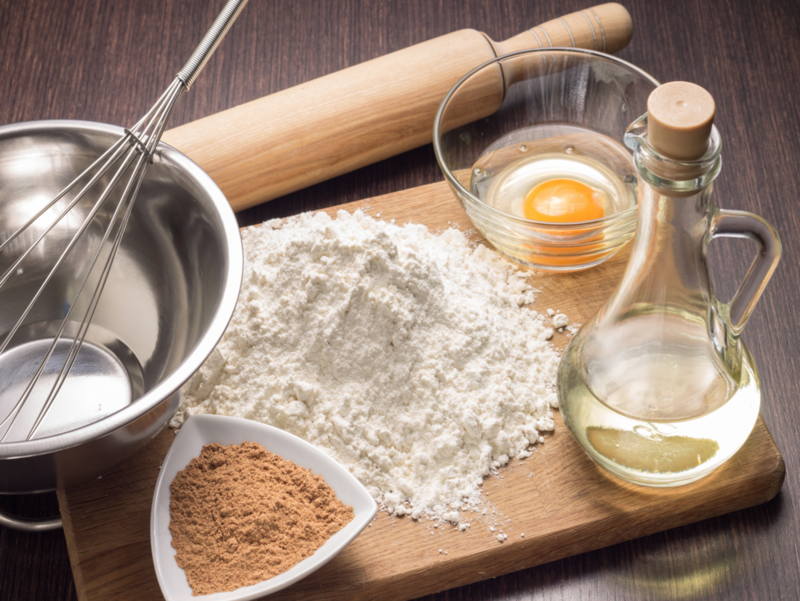 You, Onward Nation, may not have spent the same 20 years perfecting your baking skills. How could someone other than me even come close to duplicating my chocolate cake? What would I need to give you to prepare you – that could ensure your success? 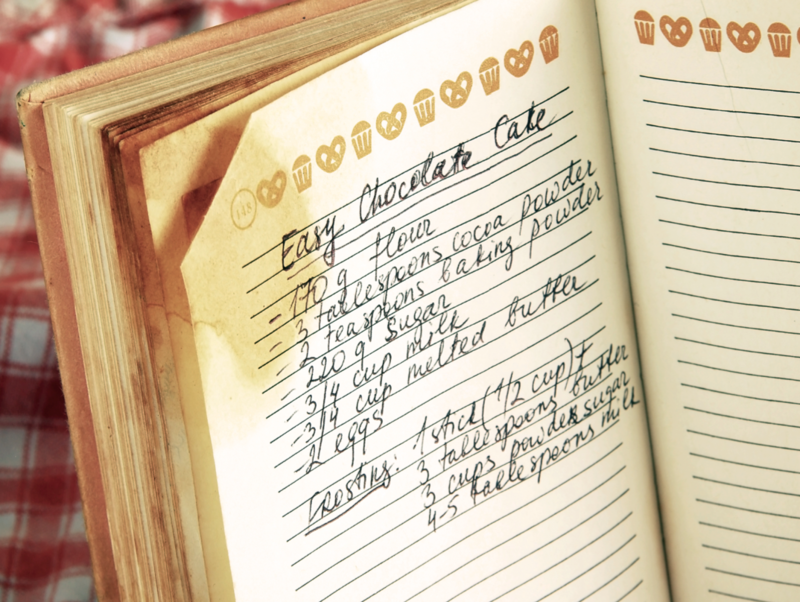 For one…I would need to give you my recipe, right? Because with my recipe, you can see my full process. You can see the strategy behind the chocolate cake. With the recipe, you begin to get the overall picture of what needs to happen. But, what else? What else do you need beyond the recipe? Yep, you need the actual ingredients! With both the ingredients and the recipe, you now know how to put all of those things together – in the right order – in the right amounts – at the right time – and how long to bake the cake and at the right temperature. 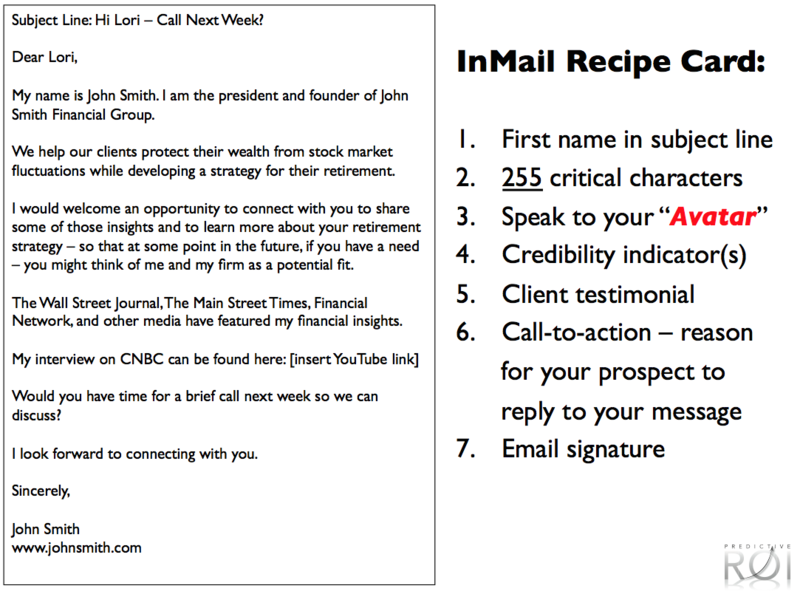 And if you follow the recipe – and if I didn’t accidentally leave anything out of the recipe card that I gave you – you now have the ability to duplicate my success. 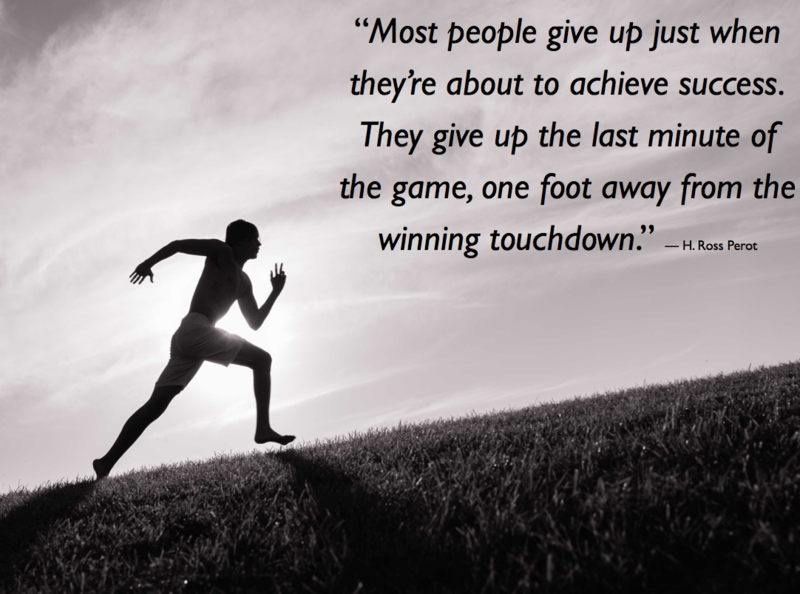 In fact, duplicating my success becomes easy – IF – you are willing to make the EFFORT. So here’s the key…with the right recipe, you are able to compress the process of learning 20 years of my knowledge down into the audio of this solocast. Learning and then compressing the outcomes into a shorter time period is one of the powerful benefits to getting the right training and aligning your business with the right mentors. So let’s dig into the recipe. First…some quick words as to why we love LinkedIn as much as we do…and why it should be the cornerstone of your lead gen strategy. There are approximately 433 million LinkedIn members — yes, 433 million. Hugely valuable community — just ask Microsoft — they agree since they acquired LinkedIn for $26 billion in an all-cash deal. 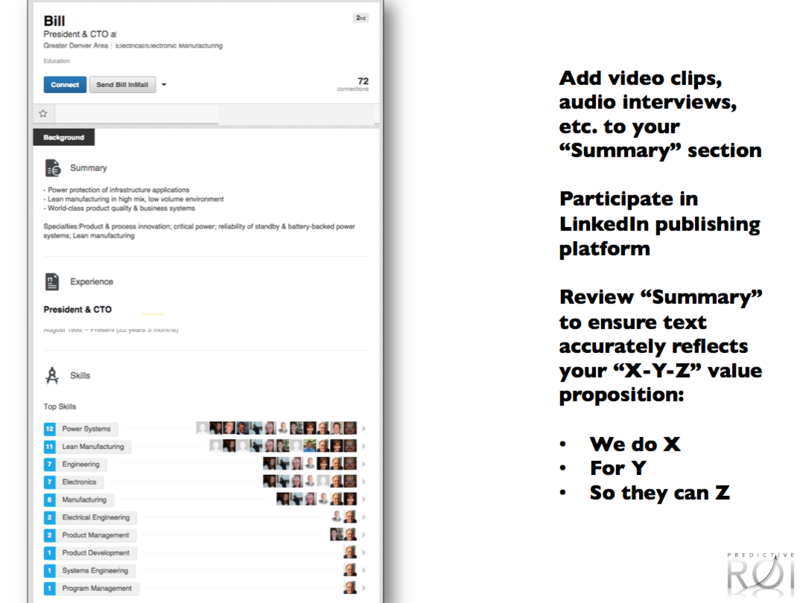 Ingredient #1: Improve your LinkedIn profile by adding video / audio clips, value proposition, etc. to the Summary. Again — we will get tactical here in just a minute — and I will give you tangible visual examples within today’s Show Notes for each ingredient. 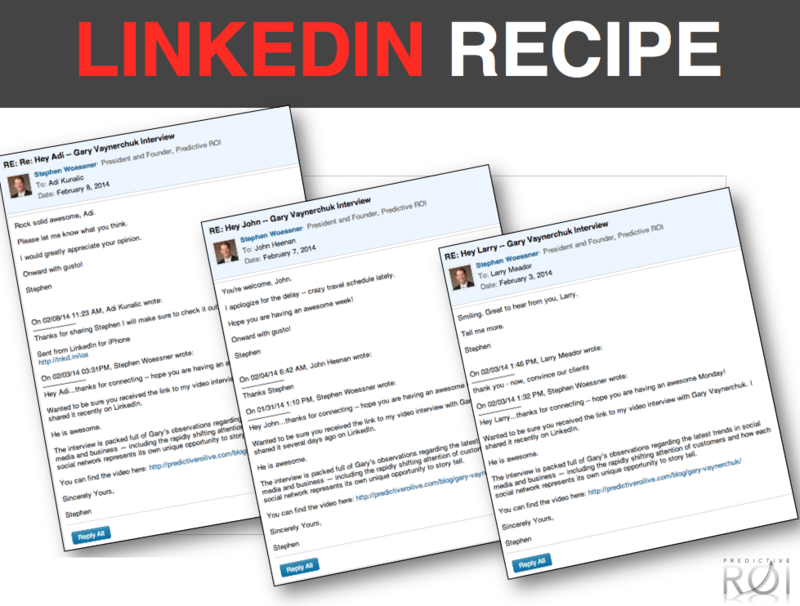 Ingredient #1 is all about getting ensuring that your LinkedIn profile is not just good — but that it is excellent. Why does this matter? 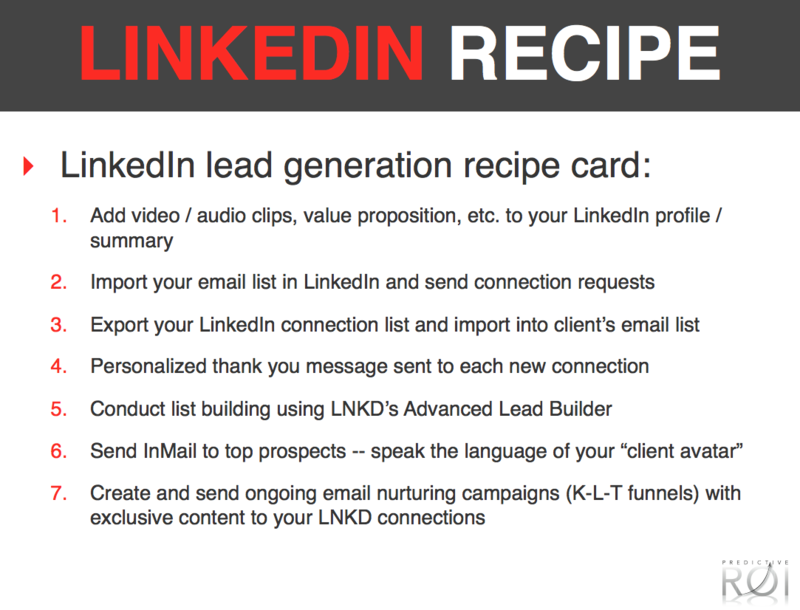 Because when you send InMail messages as part of Ingredient #6…the very first place your recipients — your prospective clients will go to learn more about you — is your LinkedIn profile. A 1st-degree connection on LinkedIn is — let’s say you are listening to this solocast — you like what you hear — and decide to send me a connection request on LinkedIn — and by the way — you should totally do that — anyway — when I receive the request — I personally accept it. And so you and I become 1st-degree connections. Now, here’s what’s interesting. My nearly 4,000 1st degree connections instantly become your 2nd-degree connections. And all of my 2nd-degree connections become your 3rd-degree connections. Again, why is that important? Well, back to my connections…my nearly 6,000 1st connections extrapolates out to a total network of 20 million people when considering 1st degree, 2nd degree, and 3rd-degree connections. Here’s how you complete the step. 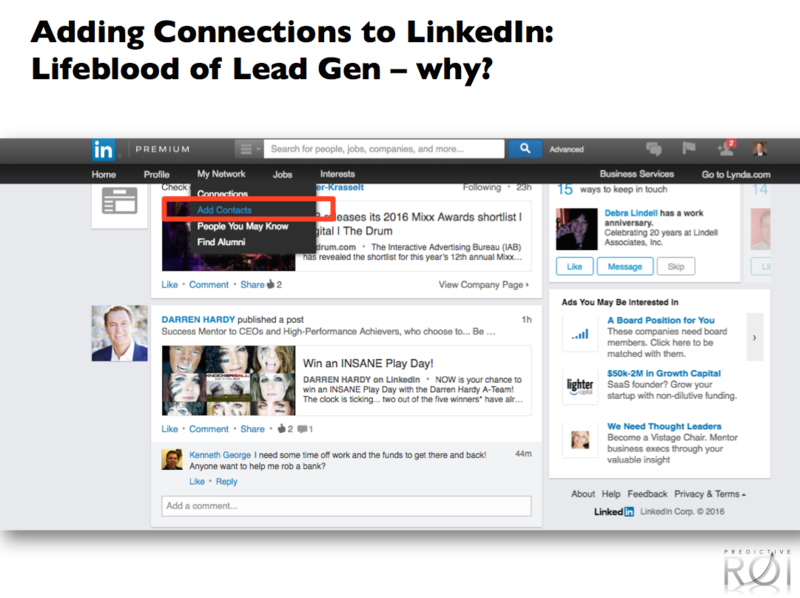 Roll your mouse over the “My Network” section of the LinkedIn menu…and then the option “Add Contacts” will appear. 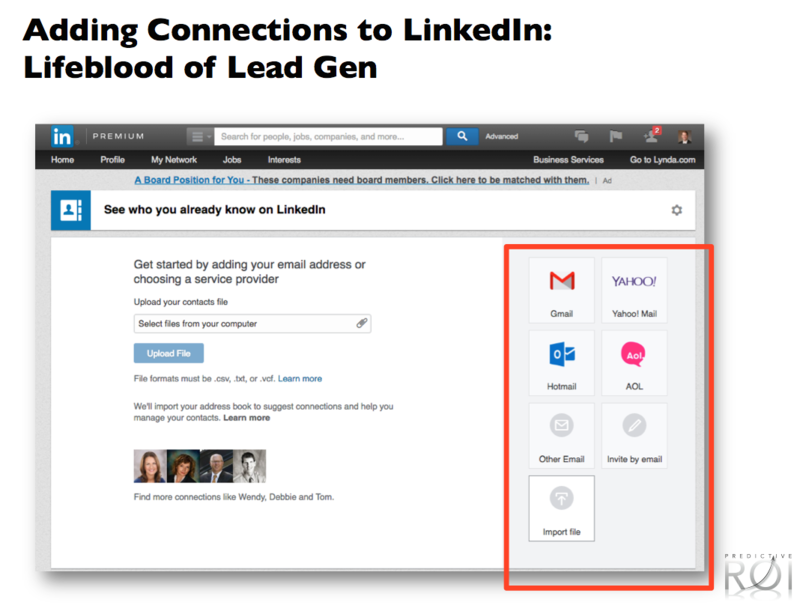 Then click “Add Contacts” and you will see a screen with options to connect LinkedIn with your email service — definitely do that — as well as the option to upload your email list and send out a massive number of connection requests all at one a couple of clicks. Second…the email address someone used when getting onto your email address may be different than the email address they use within a professional community like LinkedIn — so you should have both inside your email list. This gives you the ability to cross-pollinate — ensure your high-quality email content that you will be sending (ahem — only high-quality content here, Onward Nation) — will be able to reach them via LinkedIn posts — as well as via email. And third…there may be some hundreds of people who connect with you via LinkedIn — and not know how to signup for your email list. No problem…if you are importing and exporting on a consistent basis…you will solve that problem to ensure you are fully covered. Here are several examples of thank you notes my Predictive ROI team used following the interview I did with Gary Vaynerchuk — our guest for Episode 42 of Onward Nation. 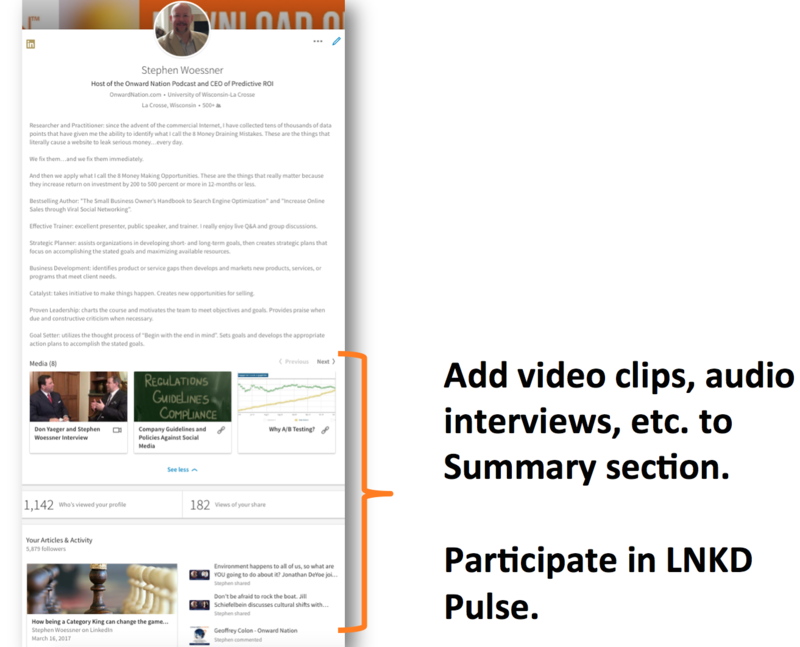 When someone connected with me on LinkedIn, I sent a personal thank you message to my new connection — with a warm hello and thank you — some personalized context so he or she knew that the message was just for them and then a link to the video. 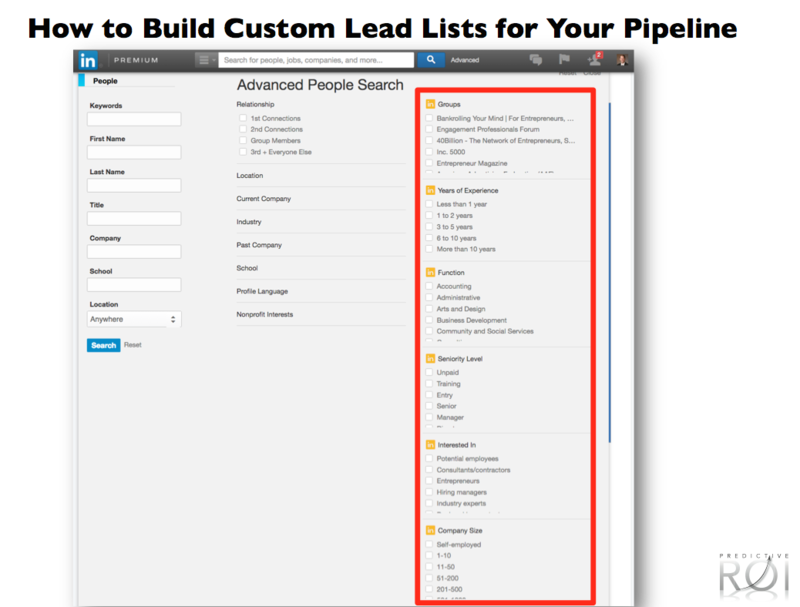 Okay, back to lead gen and Ingredient #5: How to build your prospect list using LinkedIn’s Advanced People Search tool. By taking the time to get specific about your prospect — you leverage LinkedIn’s database — to deliver back to you a list of prospects who match your criteria and you eliminate the time wasting of sending direct mail to a purchased list and hoping for a better result outcome than the last campaign. If yes, add the person and their details to an Excel or Google Sheet so you can keep a running list of who you have reached out to…and no…LinkedIn does not offer any sort of automated CRM functionality. This is tedious work — I get it — I completely understand — but — it is also where the rubber meets the road in the success of your business and it will fill your sales pipeline. Okay, so I’m going to assume you did all of the work you needed to do up to this point. You have built a solid profile — you expanded your LinkedIn network by leveraging your email list — and being smart — to also reverse the process and cross-pollinate your connections back into your email list…and now…you have mastered the Advanced People Search tool with the resulting outcome being — a highly targeted prospect list — perhaps the most targeted list you and your sales team have ever had. My Predictive ROI team has sent thousands and thousands and thousands of InMail messages on behalf of our client’s lead gen efforts — as well as for our biz dev — and the template we included in today’s Show Notes is the resulting outcome of all that testing and hard work. 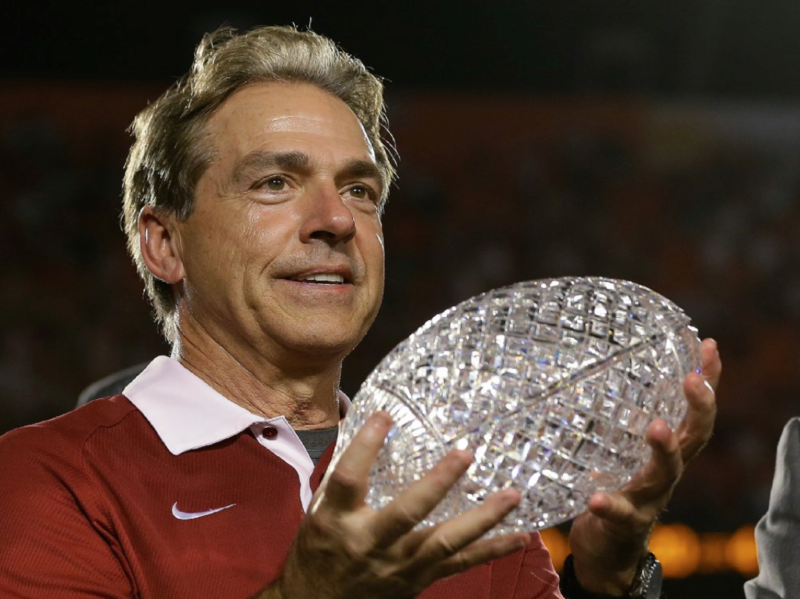 Alabama is consistently one of the top-ranked teams in college football each year. They were the 2015 National Champion and played again this year for the title but lost to Clemson. And remember… if you want to take the pipeline process even deeper, then register for the web workshop I am teaching tomorrow called the 4-Steps to Filling Your Sales Pipeline. Just go to OnwardNation.com/webinar for the details. That’s OnwardNation.com/webinar. Rest assured — I know you are busy, Onward Nation. I will respect your time by delivering a workshop packed full of real, actionable strategies, that when followed, will fill your sales pipeline in 30 days or less. I look forward to seeing you there and thanks again for being here — today.